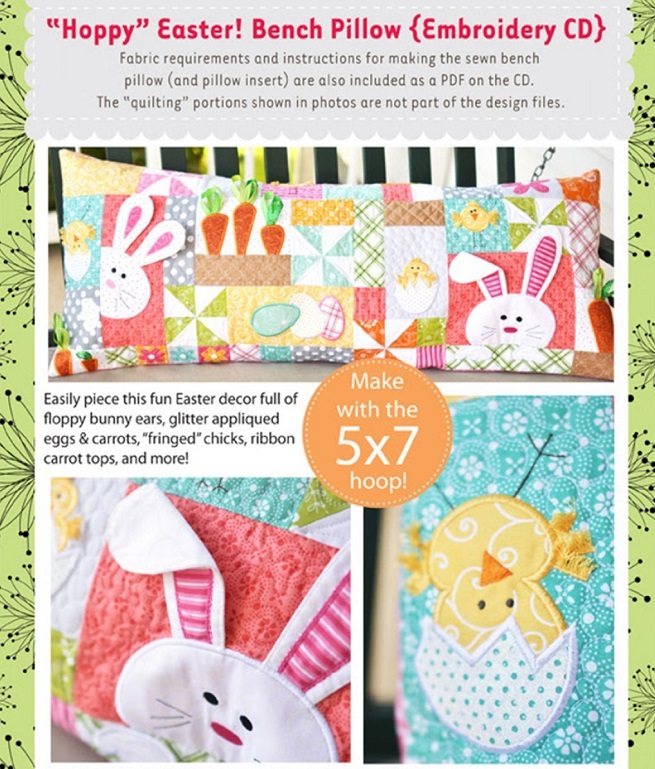 Peek-a-boo bunnies and downy chicks join the parade of pretty pastels for Kimberbell's newest release in our popular Bench Pillow Series. 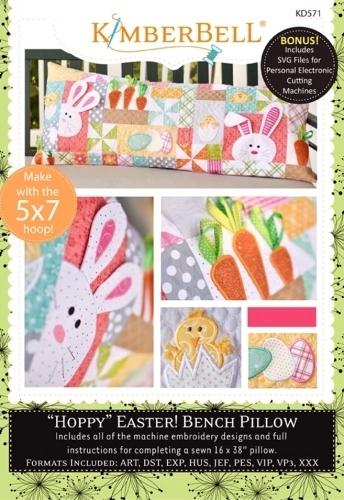 The "Hoppy" Easter Bench Pillow features pieced and appliqued blocks with darling dimensional elements. We love the polka dot glitter eggs and fringed fluff for wings on the just-hatched chickens. Floppy bunny ears are stitched separately, then attached to each adorable face under the applique in both sewing and machine embroidery patterns. Sprouting copper carrots are made from glitter applique too, with loops of green ribbon forming the carrot tops.